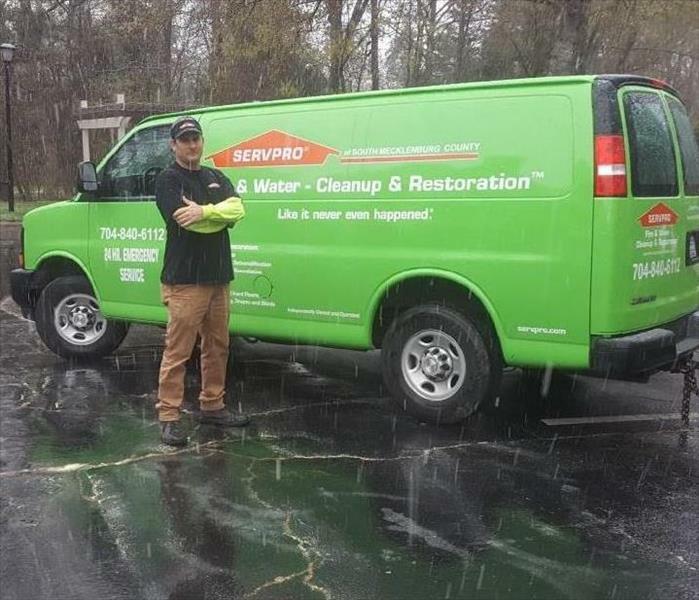 Surprise April snow showers in Charlotte couldn't stop SERVPRO of South Mecklenburg County! On Tuesday, April 2, 2019, Charlotte experienced surprise snow showers- and a lot of excitement! If you are from the south, you know this is extremely rare in April! Kane and our crew members were out in the snow showers and stayed committed to helping our customers get their lives back to normal. 4/4/2019 - April Snow in Charlotte!